This page aims to be the best resource for new users to understand how to buy Bitcoins. The existing Buying bitcoins page is too complex. Read How To Buy Bitcoins With Your Credit Card, for information about buying Bitcoins with a credit card. Warning: Please be careful with your money. When sending money to an exchange or seller you are trusting that the operator will not abscond with your funds and that the operator maintains secure systems that protect against theft -- internal or external. It is recommended that you obtain the real-world identity of the operator and ensure that sufficient recourse is available. Because Bitcoin services are not highly regulated a service can continue operating even when it is widely believed that it is insecure or dishonest and webpages recommending them (including these) may not be regularly updated. Exchanging or storing significant amounts of funds with third-parties is not recommended. PayPal doesn't like bitcoin, as the bitcoin network is in direct competition to it. They will ban accounts that have anything to do with Bitcoins, and freeze their balance. Having said that there is a workaround that can be done in order to use Paypal to buy Bitcoins but it holds within it higher transaction fees. Using the Virtual World Exchange you can buy Second Life Lindens (SLL) with Paypal and then convert your SLL to Bitcoins. This process will charge you transaction fees of around 6% but will let you purchase Bitcoins pretty quickly as opposed to a wire transfer. The reason this method works is because you do not buy Bitcoins with Paypal directly, you only buy SLL with Paypal (which is acceptable by Paypal's TOS) and then exchange your SLL to Bitcoin. Note: If you only want to take advantage of Bitcoin's price volatility You can trade CFDs on Bitcoin via Paypal on sites like AvaTrade or Plus500. When trading online your capital may be at risk. Trading CFDs is suitable for more experienced traders. Cubits - Cubits is an all-inclusive platform to buy, sell and accept Bitcoin. Our easy-to-use interface allows users to buy and sell Bitcoin instantly with 17 supported currencies. Visa and Mastercard accepted. VirWox - The Virtual World Exchange accepts all major credit cards (via Paypal or Skrill) and allows you to buy SLL which you can then trade to Bitcoin. Using this method is faster then most options but has larger transaction fees involved. CoinMama uses Western Union to allow you to purchase Bitcoins through your credit card. This service is not available in the US. US Only!! Coinbase allows you to buy and sell bitcoin instantly by connecting any U.S. based bank account. You need an account number and routing number, which can be found on a check. A credit card can be optionally linked to your account as well. Coinbase also acts as a bitcoin wallet which can store the bitcoin once it is purchased. Ideal for beginners first getting involved in bitcoin. expresscoin.com (info) allows customers to buy Bitcoin with a bank wire transfer. Specific instructions of all payment methods are referenced in the How To Buy page. Bittylicious allows customers to purchase Bitcoins using an extremely simple interface. All customers need to do is to enter their Bitcoin address and email address and choose how many coins they want. If customers want to purchase more than the default (usually around £50/EUR 55/$80) then they just need to sign up and do some sort of verification. UK bank transfers, Euroean SEPAs, iDEAL and Mister Cash are all accepted. Kraken allows verified users to buy and sell bitcoin using USD and EUR by depositing via wire transfer. Other national currencies can be converted to USD or EUR at transfer. Kraken is an exchange and the market is determined by orders. 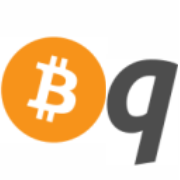 BitQuick.co (info) allows sellers to connect to buyers via cash deposit or SEPA transfer. You can buy bitcoin instantly by providing only your email address and bitcoin address. As soon as the deposit is received, the bitcoin are sent. bit4coin.net (info) Buy bitcoins with bit4coin gift vouchers. Easy to use online shop experience, and the vouchers will be delivered to your doorstep. bit4coin.net guides you through the entire process of redeeming the voucher and getting your first bitcoins - and the voucher doubles up as a great gift, too! Belgacoin allows you to buy bitcoins via SEPA transfer. It is fast, secure and cheap. No registration needed. We do not charge anything for this service, for the time being. Bitalo enables you to buy Bitcoins directly from another person. If that person is online and you share the same bank, you can get your Bitcoins in a matter of minutes. The transaction is secured by Bitcoin multi-signature addresses, and Bitalo acts as an escrow. You can store bought Bitcoins on your own address, or using a safe multi-signature Bitcoin wallet on Bitalo, for free. Asia Nexgen (ANX) (info) allow their customers to buy Bitcoin by sending a wire transfer. They are legally registered and based in Hong Kong and hold a Money Services Operator license issued by the Hong Kong Customs and Excise Department. They support most popular cryto-currencies and all major fiat currencies (including USD, EUR, HKD, AUD, CAD, CHF, GBP, JPY, NZD and SGD). They are currently running a zero transaction fee promotion. UK Only!! http://www.bitcoinmagnet.co.uk/ allows customers to buy & sell Bitcoin automatically using their UK bank account. All you need to provide is an email address and either your bitcoin wallet address (if buying) or your bank account details (if selling). For buying, they give you a unique reference code to include with your bank transfer. All future transfers that include this code will be automatically converted to Bitcoin and sent to you. You can therefore set up a regular standing order if desired. For selling, they give you a unique Bitcoin deposit address to send coins to. All future payments to this address will be automatically converted to GBP and sent to your UK bank account. They use the latest Bitstamp market price and aim to complete orders within 10 minutes. The fee is currently 5%. Local Bitcoins allows sellers and buyers who are located nearby to meet and exchange Bitcoins through various methods including cash, wire transfer, Money Bookers, Skrill and more. Local Bitcoins offers a Bitcoin escrow service that holds the funds until the transaction is complete, therefore reducing fraud. Asia Nexgen (ANX) (info) allow their customers to buy Bitcoin by depositing directly into their Australian bank account. They are legally registered and based in Hong Kong and hold a Money Services Operator license issued by the Hong Kong Customs and Excise Department. They support most popular cryto-currencies and all major fiat currencies (including USD, EUR, HKD, AUD, CAD, CHF, GBP, JPY, NZD and SGD). They are currently running a zero transaction fee promotion. The company prepared to open Hong Kong's first physical bitcoin shop, in Sai Ying Pun in February 2014. Customers, who must supply an identity card and proof of address for anti-money laundering regulatory compliance, will be able to purchase bitcoins for cash. The company brought the first Bitcoin ATM to Hong Kong. Customers must be verified to use this ATM and will need to use their Bitcoin wallet QR code to make a cash deposit. bitXoin (info) Buy bitcoin via online ordering and bank deposit, cash over the counter at most banks throughout Australia. Fast processing, low reference rate, low commissions. Bitcoin (Australia) - pay by cash over the counter at local bank branches. expresscoin.com (info) allows customers to pay with cash at Credit Unions that support shared branching. expresscoin.com (info) allows customers to buy Bitcoin with a personal check. Create a purchase request and mail in a personal check to the listed address and match amount. Specific instructions of all payment methods are referenced in the How To Buy page. GiftCardDrainer.com allows you to buy bitcoin with Visa, MasterCard, American Express or Discover gift cards. Uses the exchange rate provided by coinbase.com at the time that the customer's gift card is processed within 24 hours of card submission. Most cards are processed within a few hours of submission, however it can take up to 24 hours. Customer must provide a bank account number for identity verification. expresscoin.com (info) allows customers to buy Bitcoin with a personal check. Create a purchase request and mail in a USPS Money Order to the listed address and match amount. Specific instructions of all payment methods are referenced in the How To Buy page. Bitonic allows you to buy bitcoins with IDEAL. HappyCoins allows you to buy Bitcoins with iDEAL and SEPA bank transfer. BTCDirect allows you to buy and sell bitcoins with iDEAL. CleverCoin allows you to buy and sell bitcoins directly on an exchange with iDEAL and SEPA bank transfer. Josien allows you to buy bitcoins and litecoins with iDEAL and SEPA bank transfer. You can buy Bitcoins with a Western Union or MoneyGram money transfer via coinmama.com. If you can find another person that is willing to sell them to you, you can transfer him money via any payment method (including PayPal), and he'll send you the Bitcoins. The following websites can be used to find direct sellers online Bitcoin OTC, Local Bitcoins or the Currency Exchange Forum Section. Be extremely cautious of scammers when dealing over the counter. Ask an admin, moderator or a trusted person if you think someone is suspicious. You might be able to find an individual with whom you can Buy bitcoins locally. Always choose somebody with many reviews. Starting in October of 2013, physical Bitcoin ATMs have been installed in Canada, Finland, Slovakia, Australia, Germany, and the UK. Use a Bitcoin ATM Locator to find a machine near you. An ATM locator specific to Australia can also be found here. BittyBot - allows users to compare different bitcoin sellers and prices in UK. There is a huge demand for buying Bitcoins off the grid due to ever-increasing government regulations and private agency intrusions and discrimination against alternative currencies. Due to the possibility of facial recognition cameras at banks and the paper trail involved with credit cards, there are very few options to have high levels of anonymity when buying Bitcoins those ways. DNA, Fingerprints, phone and internet records, audio and video records will not be discussed, but they all are possible tools which attackers could use to uncloak even the stealthiest Bitcoin buyer. There are a couple known ways, depending on your location, to buy Bitcoins outside of the standard banking system with relatively high anonymity. Buying locally with cash using a burner or payphone allows a high level of anonymity with the exchange being the weakest link. Many sellers online will also trade Bitcoins for MoneyPak codes or other cash-like gift codes which can be bought at a local store with cash. Another way to buy Bitcoins with a high level of anonymity is by sending cash in the mail. Before using any service, it is a good idea to look for reviews and feedback from previous customers. This can be done by performing a Google search of the name of the website or company. The Bitcoin forum is also a good place to find discussions and reviews about services. This page was last edited on 15 June 2018, at 03:52.